Blog Are Orchids Good Gifts? Are you trying to figure out what to get your friend, neighbor, relative, or colleague as a Christmas or housewarming gift? Perhaps you’re wracking your brain for birthday gift ideas. No matter the occasion, orchids make a fantastic gift for any of your friends or acquaintances. These flowering beauties are versatile and can be kept alive by even the most abysmal of gardeners – no green thumb required. Are orchids good gifts? Orchids make excellent gifts for lots of reasons. Their blooms are beautiful and last for a long time, they’re easy to care for and will often bloom repeatedly for many years. Orchids are quite affordable, visually appealing and easily transported, making them a great gift for a variety of occasions. Still not convinced? Read on to learn more about why orchids are some of the best possible gifts you can give – and are an even better gift to receive. If you’ve ever considered purchasing flowers as a gift, you may have found yourself hesitant to pay the steep price tag borne by bouquets or vases of cut flowers. Cut arrangements often cost upward of thirty dollars – and that’s just a starting price, with more expensive flowers like roses and dahlias increasing exponentially in cost. After a few weeks of sitting in a vase filled with water and flower food, what inevitably happens? The flowers die. Unfortunately, such is the fate of cut flowers when you give them as a gift. Live flowers, on the other hand, can last indefinitely, providing the opportunity to gift a long lasting, meaningful arrangement. For the same cost (and often less) of a cut arrangement, a container of live flowers or a potted houseplant will last for months or years at a time, providing the recipient with an endless bounty of enjoyment and visual appeal. Of all houseplants, orchids are one of the easiest plants to take care of. They adapt easily to windowsills, as well as to the harsh growing conditions presented by fluorescent lights. These plants bloom for several months, usually from autumn to spring. However, some blossom consistently throughout the year. Orchids are among the largest family of blooming flowers, with over 25,000 species and 100,000 different varieties. Wild orchids grow on every continent in the world, excluding Antarctica, and are surprisingly easy to grow as houseplants. Symbolizing thoughtfulness, charm, love, beauty, and fertility, these versatile plants make a great gift for anybody on your gift list. Orchids can be purchased in a variety of colors, and many orchids actually change color over time. You might start with an orchid that is pale pink, and end up with one that is burgundy-spotted. You never know what you are going to get. You can purchase an orchid in just about every shape and size, with miniature varieties available as potted plants. They are available in every color but black, with many featuring delectable fragrances not unlike chocolate or vanilla. In the summer, orchids can be moved outside to decorate the deck and to provide an exotic look to any dwelling. In the winter, simply bring them back inside, where they will thrive on your windowsill or well-lit desk. They will give an office, living room, or otherwise bland space a lush, tropical upgrade – for minimal expense. Orchids can help make the changing of seasons more bearable, a plus for those living in colder climates. Cheery and bright, orchids bring a breath of fresh air into just about any room. They are excellent as a Mother’s Day, birthday, get well, or congratulatory gift. That’s right – orchids are a fantastic present for just about any occasion. The orchid is one of the oldest plants in the world, with its closest plant ancestor dating back nearly 80 million years. 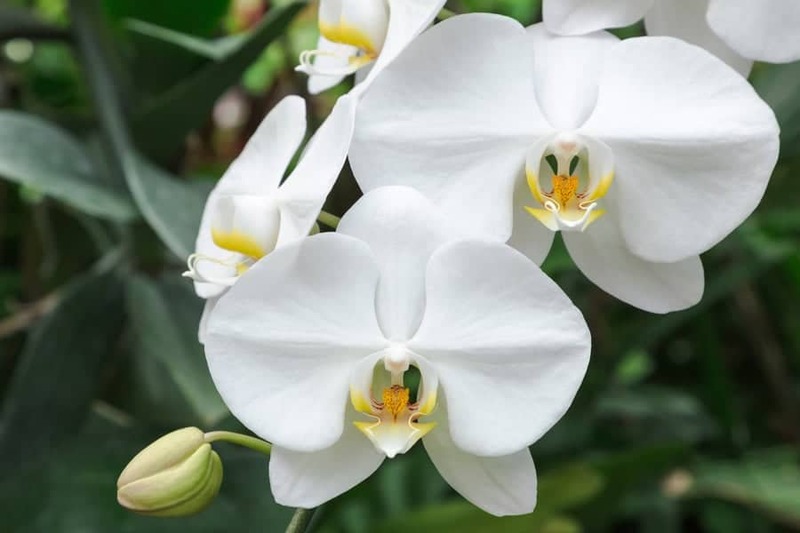 Orchids were likely present when dinosaurs roamed the earth, and while they had a surge in popularity in the mid-1800s and early 1900s, they are experiencing a resurgence as one of the United States’ favorite indoor plants. Keeping indoor houseplants in general is beneficial to your health, but orchids are particularly helpful. They absorb carbon dioxide and transfer oxygen back into the air. They can help purify the air in your bedroom, and also provide a source of stress relief. 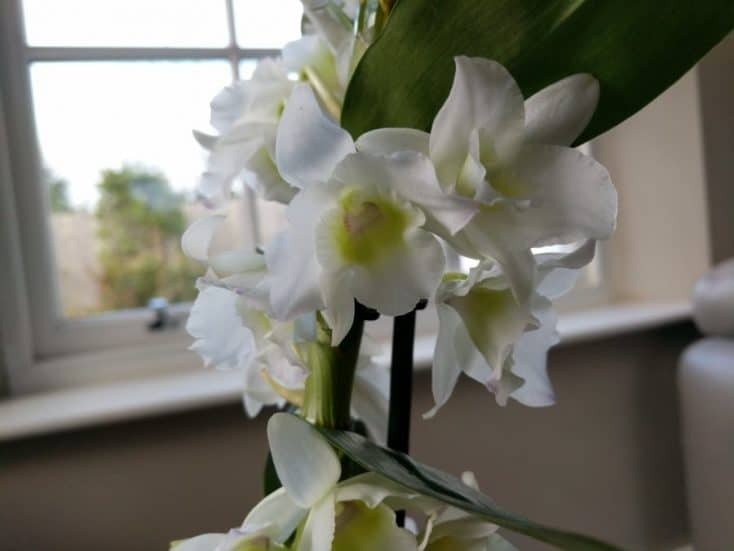 Orchids have been proven to boost mood as well as to reduce your risk of certain diseases caused by stress and poor air quality, such as cardiovascular problems. Orchids can also help promote healing during a time of injury or sickness. Since their presence purifies the air and reduces stress (as well as boosts your mood! ), orchids are great gifts for people who are sick or in the hospital. These miracle plants can help you focus, improving your concentration and enhanc your quality of life. Orchids increase the humidity of their environment, and also prefer a humid growing environment in turn. Because of this, you may find that you are less prone to seasonal conditions related to dry weather, such as a sore throat, cough, dry skin, or even the flu. Unlike some houseplants, that are extremely vulnerable to changes in temperature, season, or growing conditions, orchids are incredibly versatile. These plants can tolerate shipping and fit easily in a box, making it easy to send an orchid cross country to a friend or relative in another state. Plus, because orchids bloom for a long time, you don’t have to worry about the novelty of the gift wearing off any time soon. Unlike a lily, which blooms briefly and then dies, an orchid produces blooms that last for weeks at a time. This means your gift is far less likely to be tossed in the trash by an owner who is sick of looking at the same old greenery. 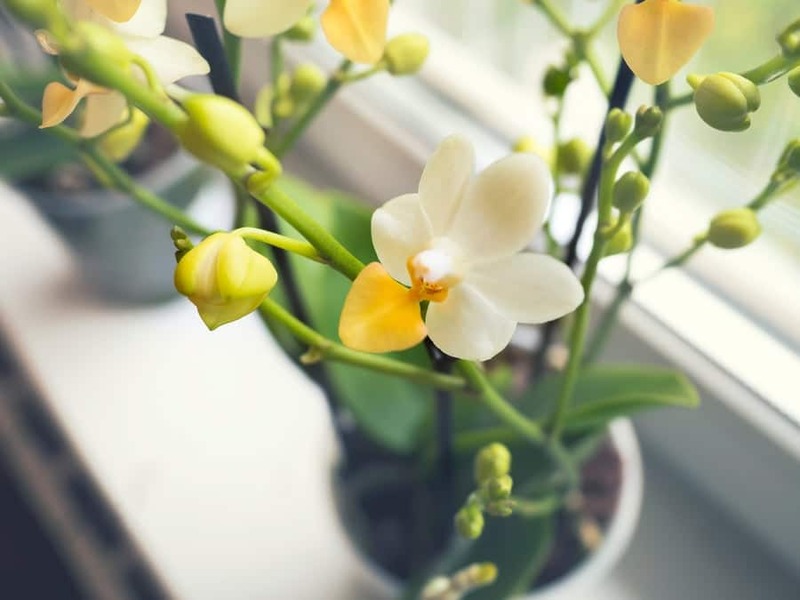 While freshly cut flowers will begin to wilt in only a few days and turn brown within a week, orchids will often bloom for over three months, depending on the species. They provide a long-lasting burst of color to bring a smile to the face of your friend or family member. When selecting your orchid, inspect it carefully for any damage. Yellow, drooping or damaged leaves are all signs of poor care. Inspect the roots to ensure they are neither shrivelled, nor showing any signs of root rot. Scorched leaves can indicate that too much light has been received. You should avoid purchasing any orchid with evidence of poor care, even if you think you might be able to reverse the condition. You should also look closely to determine how the orchid is potted. The best growing media for orchids include redwood bark, sphagnum peat moss, potting soil, and cork. Pay attention to the type of orchid that is being grown, as different varieties prefer different growing mediums. If you purchase an orchid that is not potted ideally, you can always repot it before giving it to your friend or family member. Another good tip is to pick an orchid which still has lots of unopened buds. These will open slowly over time and will mean the orchid will bloom for much longer than a plant which is already in full bloom. You should also take care to smell the orchid you plan on giving as a gift. Some orchids smell pleasant, like chocolate or vanilla, but there are some other varieties that bear a smell not unlike that of rotting meat. Before gifting your orchid, make sure you keep it at an appropriate temperature. Orchids can tolerate colder or warmer temperatures, but prefer moderate temperatures in which they are about fifteen degrees cooler at night than during the day. This helps to encourage blooming and productive growth. While an orchid may not be the ideal gift for everyone – such as a child or a person who vehemently hates indoor plants (do those people exist? We hope not!) 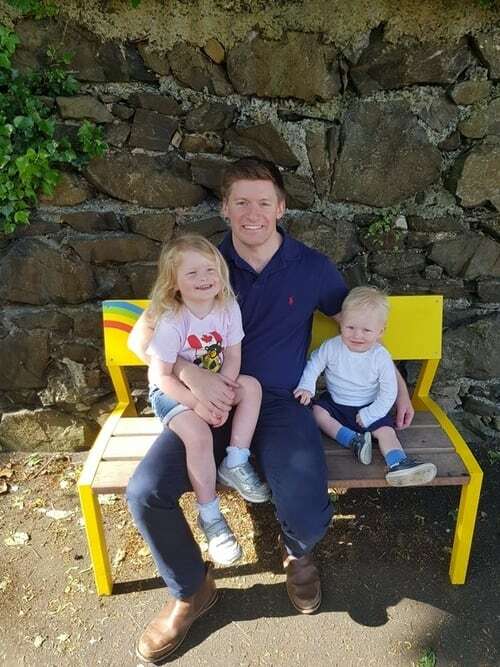 – they are a phenomenal choice for just about anyone on your gift list for any occasion this year. Still not convinced that an orchid is a great gift to give or receive? Consider our FAQ about orchids, which should help you make the final decision to give this long lasting gift to the person you love. 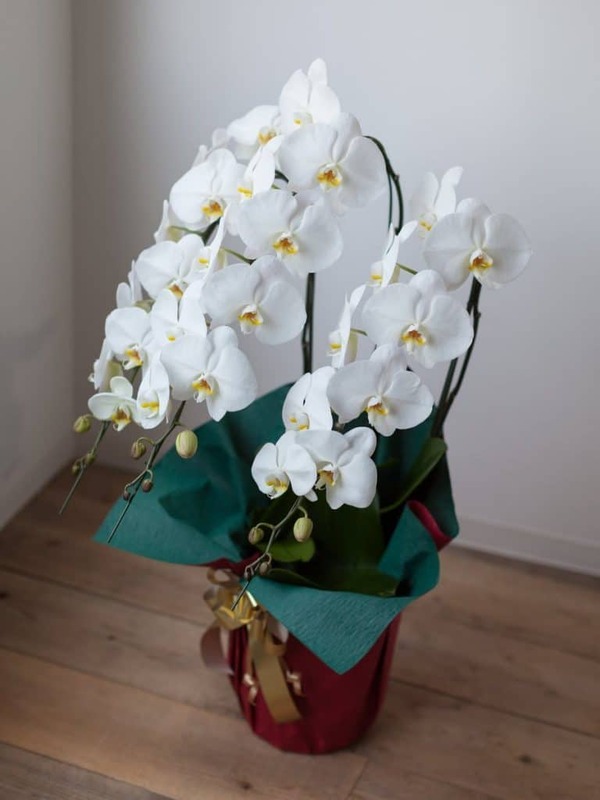 What Is The Best Way To Gift An Orchid? The best way to give a friend or family member an orchid gift is to do so with plenty of thought and consideration. It should not be presented as just another thing the recipient has to take care of, but instead as the opportunity to nurture life and to create a more beautiful environment within his or her own home. To do this, consider giving the recipient a book on orchid care or some orchid-themed gifts to go along with the plant. This will make the item more of a luxury and less of another chore they need to attend to. How Do I Take Care Of An Orchid? Orchids are one of the most commonly grown indoor plants, and most species are easy to take care of. Water whenever the soil is dry to the touch, and place in indirect sunlight. 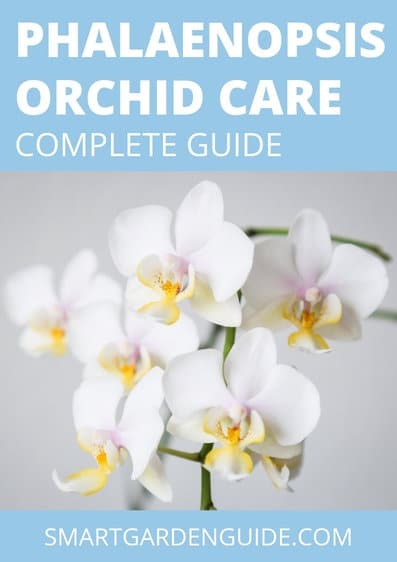 Check out the orchid section of this website for lots of advice about all aspects of orchid care.